A fabulous area rug can make a unique foundation or starting point around which your entire room’s décor can be coordinated. Or, the right area rug can deliver a colorful finishing touch. You also can use area rugs to define a space. For open floor plans, an area rug can create a conversation area, designate an eating space, welcome one into a foyer or usher your guests down a hallway. Area rugs also offer you other unique capabilities. They are the only flooring product that you can install, then pick up and move. Change them season to season or as your style changes. 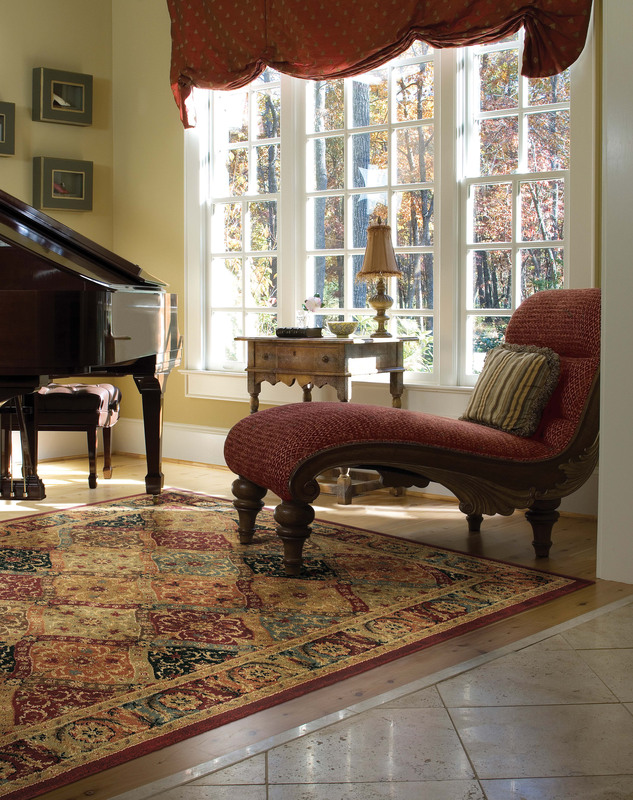 Area rugs offer you softness, warmth and sound absorption on hard flooring surfaces such as stone and wood. They add another layer of design, luxury and warmth when laid on top of wall-to-wall carpeting. And the cost spectrum of area rugs is just as wide and varied as the rugs. Area rugs can be very inexpensive (cotton and synthetic) or phenomenally expensive (ancient weaves) depending on the material used, how they were made and the degree of artistry or intricacy in their design. Relatively new are the “machine-made” rugs, made with sophisticated design patterns on computerized looms that can mimic more intricate and labor intense handmade rugs at greatly reduced costs. Because they are made by machines, it opens up these types of rugs to the mass market. Area rugs can be an investment that becomes your family heirloom and is passed down from one generation to the next, or they can be practical and fun design elements that move around to suit your mood. Window coverings make an enormous difference in the enjoyment of a home. Besides adding to the beauty of your rooms, they can reduce the heating and air conditioning costs. You will want to consider the heat in the summer and cold in the winter, along with the exposure of the room. Does it face north, south, east or west? North-facing windows provide the most consistent light but also the coldest exposure. For these windows, it’s wise to consider energy efficient window treatments. South-facing windows receive good light year-round. Light diffusing treatments help protect upholstered furniture from the sun. East-facing windows admit warm, bright light, especially in the morning. 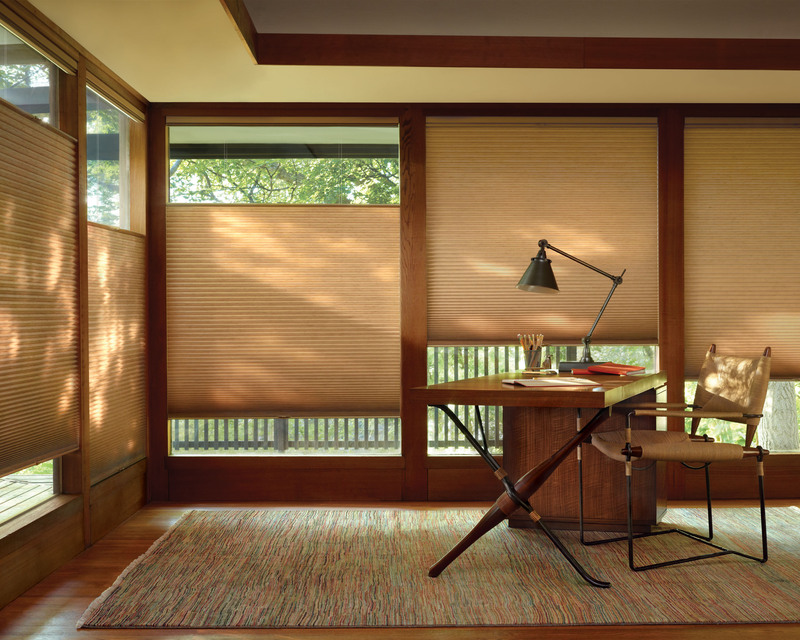 You will want to consider window treatments that help block ultraviolet rays. West-facing windows admit the hottest, haziest light of the day. Light-diffusing window treatments are best in these areas.